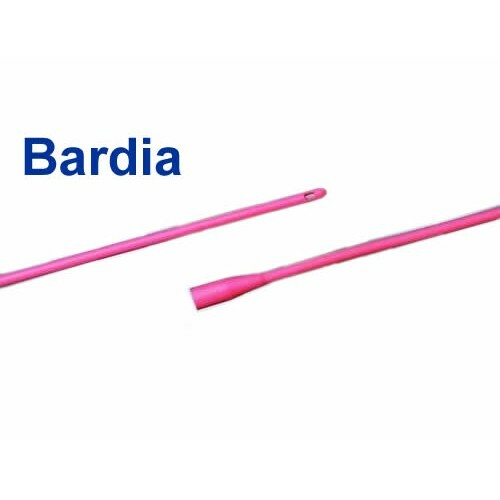 Bardia Red Rubber Catheter | 802412, 802414, 802416, 802418, 802420, 802422. Red Rubber Catheters are manufactured by Bardia, which is a sub-brand of Bard. 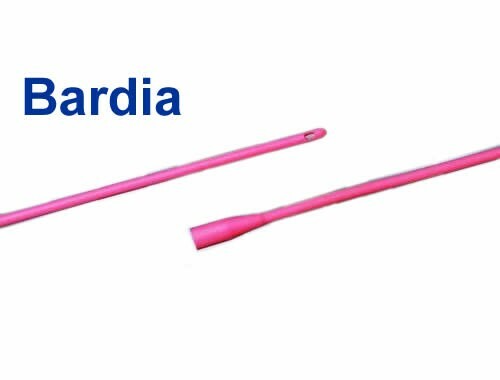 Bardia Catheters are multi-purpose red rubber catheters that have two opposing eyes for drainage. 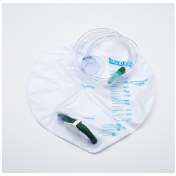 Use Bardia Intermittent Catheters as a Robinson or Nelaton catheter. 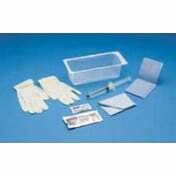 These Intermittent Catheters are sterile and designed for single use. Red Rubber Intermittent Catheters have round, hollow tips. These Urethral Catheters are have a straight tip. 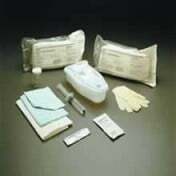 Sterile to reduce the risk of infection. Can you recommend competitive products? We cannot make any specific recommendations regarding items on our site. It's best to speak with a medical professional for proper advice. Each French size equates to approximately .33 millimeters in size. Therefore a 3 French equals 1 mm, 6 French equals 2 mm, etc. My stepson, who is a paraplegic, states that the Bardia 14 French 16 inch catheter supplied by Vitality Medical is a superior product delivered in sterile packaging and is shipped in damage proof packaging and always on time. Due to his change in need for the product, we have had to change his monthly delivery date a few times. The customer service people at Vitality Medical have always been most accommodating and helpful. We are very pleased with the product and the service we receive from Vitality Medical. 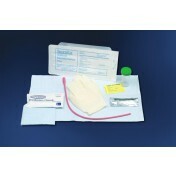 The Bardia Red Rubber Catheter is an excellent product. Vitality Medical does an excellent job in providing and delivering this product. We are on an auto refill program and Vitality Medical notifies us that the shipment is coming and when to expect it. It is always on time and packaged in a safe and sanitary manner. We are very satisfied with the product and the provider. The tip of the catheter could be more ridgid and the eye holes would add to that if they were offset. I feel that when the tip gets to a slight restriction, it collapses. This is what happened when using these. Timely delivery. Looking forward to ordering in the future. It is difficult to find the red rubber catheters is this size. I ordered and received the product in an adequate time frame. The product is very user friendly. Excellent product, fast delivery, but be aware if you have Medicare yyou can get it at no cost to you. The Bard 14Fr work fine for me - the 10Fr and 12 Fr I tried lacked sufficient rigidity (especially the 10Fr). I was hoping the smaller sizes would save wear and tear on me but to no avail - plus I got to pay a 20% restocking fee for the privilege of discovering that when I returned them. Perhaps they would work for women. I have tried almost every brand out there in various configurations, but this brand is the best. It is very safe to use and lightweight. It includes olive tip with one drainage eye placed on the upper portion of prostatic curve. I will continue to buy this product and I recommend it to anyone. The hospital gave me one of this when I got discharged from the hospital. Because of its quality, I bought the same brand every time. A very durable product and it is always an ease to purchase products through your website. Great product + great customer service = happy customer!